Despite positive news regarding popular South Korean based cryptocurrency, Icon, a smart contract bug has temporarily crippled the transfer of the ICX ERC-20 token. != Or ==, Which One Is Correct? It was recently revealed that a flaw in ICX’s smart contract allowed for users to disable the transfer of all ICX ERC-20 tokens. Once the public was made aware of this bug, users begin to spam the disable function on ICX’s Ethereum smart contract, whether out of malicious intent or otherwise. In this case, the contract is enforcing that the wallet address is NOT equal to a specified one, when it should be equal. This allows any address except the contract creator to enable or disable token transfers for everyone. Many users began to criticize the Icon team, which currently runs a cryptocurrency with a market cap of over $750 million according to CoinMarketCap. How can you have millions of dollars and not invest in software testers? I mean how? No matter how good you are, some testing component should be crucial in your development process, especially at that scale. ‘_dnov’ along with a multitude of other Reddit users have brought up a valid point. ICX is now the 23rd largest cryptocurrency, by no means a small or unknown project. It is only logical that the code of the Icon mainnet should be clear of any glaring errors, especially one as important as the one found earlier today. If transactions are disabled, what use does the affected cryptocurrency have, especially with such an influential project like ICX? However, others have begun to speculate that this may not be a large problem, as a majority of ICX tokens are stored on a variety of exchanges as a speculative asset. Despite this, the Icon team jumped on this issue right away, issuing a temporary fix which has amended the problem, allowing users to resume their ICX token transfers. Once the fix was implemented, users found no trouble in using the smart contract as it was designed to be used. Minor bug. Quick solution initiated. Permanent solution already in the works and expected to be done today. Thank you for your patience and understanding. A representative from ICON, Min Ho Kim, has stated that the Icon team is currently working on a more permanent solution that should mitigate any risk of this specific bug. On the other hand, it is entirely possible that there are other damaging bugs that have yet to be discovered by other community members. Earlier this week, Binance announced that it would be supporting the ICX mainnet, and would be exchanging Binance user’s ICX ERC-20 tokens for the mainnet equivalent. This announcement caused ICX to temporarily outperform a majority of the market, jumping over 10% in one day. However, after malicious users utilized the aforementioned bug, Binance has had to cease all deposits and withdrawals of the affected cryptocurrency. It is unlikely that this bug will affect the upcoming token swaps. 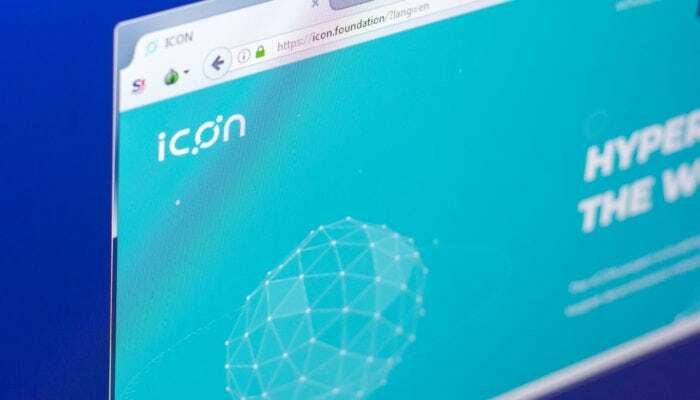 The ICX mainnet will not contain errors like the aforementioned one, as a large bug on the mainnet could spell disaster for the Icon’s cryptocurrency project and any ambitions that may remain.